Une maison incomparable ... Le luxe pieds nus en bord de mer !!! Casa Layla est une maison construite sur mesure qui a été achevée en février 2014. Il est situé en bord de mer, à environ 5,5 km au nord de la ville de San Pedro sur Ambergris Caye dans le quartier exclusif de Mata Grande. La maison principale comprend trois chambres à coucher ainsi que trois salles de bain et il y a aussi une belle-mère qui comprend la quatrième chambre et la salle de bain. Toutes les chambres de la maison principale ont leur propre balcon privé avec une vue imprenable. La maison principale ainsi que la suite sont inclus dans votre location de Casa Layla. .
La propriété comprend un quai de 300 pieds avec chaises longues et Internet sans fil, une cuisine extérieure, et une piscine à débordement avec un bar en milieu de piscine. Il y a aussi de nombreux sièges extérieurs pour manger et se prélasser. La cuisine a tous les outils dont vous aurez besoin pour préparer un bon repas et ouvre dans une grande salle à manger et salon avec un bar. Pour les clients souhaitant faire une pause dans la préparation des repas, la concierge assure les services de chef sur demande (coût des courses plus un pourboire volontaire). Votre location comprendra un service de nettoyage tous les deux jours, ainsi que l’utilisation des kayaks, des équipements de plongée et des vélos. Nous avons également un couple de gardien sur place qui veillera à ce que votre séjour soit fantastique. Les propriétaires ont pris grand soin de s'assurer que Casa Layla a tous les conforts de la maison dans les magnifiques environs d'Ambergris Caye. Nous sommes impatients de vous accueillir à Casa Layla. Immaculate. Serene. The envy of everyone on the beach. The effort laid out to get here paid off with a BIG reward. Tatiana and Daniel made the trip. Every meal was better than the next. I spent two weeks at Casa Layla for a birthday celebration with family and friends. Everyone is so helpful. Brittany provided information, guidance and scheduling as I had groups coming in/out. Tatianna did an amazing job taking care of us and cooking. Her and Daniel work very hard in order for us to enjoy our stay. The property was immaculate and views amazing. I will be back. I've been to Belize several times and I can say, without a doubt, that this is by far the best experience I've ever had. Dealing with Brittany is such a breath of fresh air as it's completely seamless and she has everything set up for you upon arrival. Tatiana and David were equally as amazing and made us feel right at home. The property is absolutely stunning and has everything you need. We only left a handful of times and that was to fish and go sailing. This is perfect for families, group trips, anyone wanting to get away and relax! We can't wait to come back and visit! You will not be disappointed if you choose this amazing place. We love Casa Layla! Such a beautiful house with every amenity you could want. Brittany was so accommodating and helpful with plans and Tatiana and Daniel were amazing! We could not have enjoyed the house more for our group of 12! 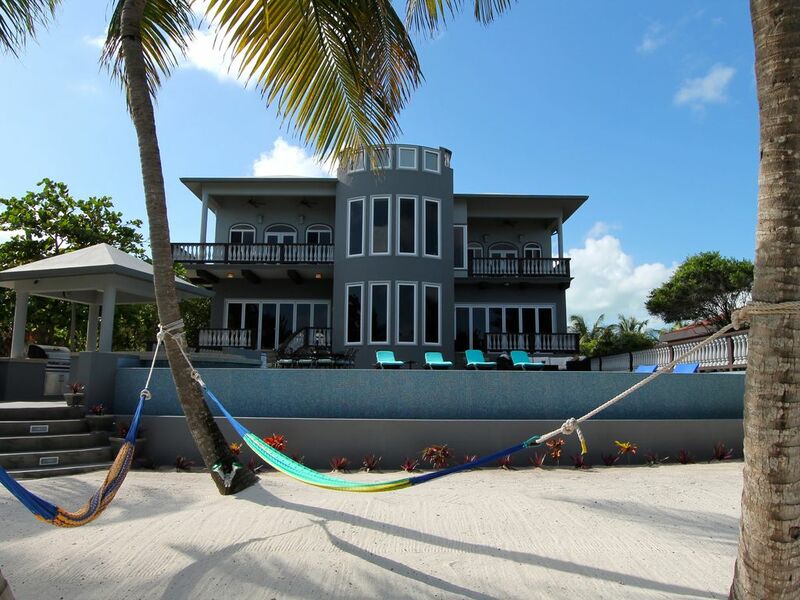 If you are looking for a luxury vacation home on Ambergris Caye this is it. Spacious rooms,comfortable furniture,well equipped kitchen. The pool is large and lovely. We enjoyed the kayaks and snorkeling at the reef right in front of the house. Wi-fi,TVs and sound system were great. It is a bit far from San Pedro Town but there are nearby restaurants and bars and very close to Secret Beach. Tatiana and Daniel were great. Only complaint is no access to the laundry room. We would like to have been able to wash and dry the beach towels everyday without bothering Tatiana. Upon arrival to a very clean home the guests rearranged all of the furniture. In addition they cut up our new dish towels as they wanted smaller towels. A full upper cabinet in the kitchen was unloaded of dishes, etc. so that the guest could use it as a pantry. A pantry already existed in a below counter 360 degree swivel cabinet which apparently was not utilized. The floors and counters were mopped and cleaned the day of arrival as is done with all guests. Tatiana did accidentally forget to empty the dishwasher however all items in it were clean. The floors and counters only became dirty once the guests started cooking in the kitchen. We do provide housekeeping service every other day of each stay and the house was definitely in need of cleaning for each service. As the former manager of over 25 homes on the island I can personally say that the kitchen in Casa Layla is the most well-stocked kitchen by far I’ve ever been in. Every pot, pan, utensil and serving dish is available including a full set of outdoor dining items. Salt and pepper are next to the stove however we do not provide other perishable goods. We do provide paper towels for all of our guests as well as cleaning supplies, towels and linens. The grocery stores in San Pedro all sell small quantities of spices, oil, etc as they know many people are only shopping for a week. In addition Tatiana, our caretaker, offered to go shopping for the guests to make it easier for them. Tatiana offers this to all of our guests and most if not all of them take her up on it. There is also a grocery store about a mile south of the house, Mata Grande, which offers online ordering and delivery service. Casa Layla has a great outdoor kitchen with swim up bar. I’m only aware of one other private home on the island with a feature quite like this. The guests are correct in that one item (the outside bar refrigerator was not working) but was rectified as soon as we were made aware of the situation. The grill was used daily by the guests. There is also a sink in this outdoor kitchen so it’s easy to rinse dishes, hands etc while cooking. We would kindly ask you to read our previous reviews that cover the last four years. We have enjoyed hosting many guests and do everything we can to ensure their stay with us at Casa Layla is enjoyable and just as comfortable as being home if not more so! Casa Layla est situé sur l'île de Ambergris Caye (un court 15 min voyage en avion de l'aéroport international de Belize) et environ 5. 5 miles au nord de San Pedro Town dans un quartier résidentiel magnifique le long de la plage. Vous pouvez marcher à Portofino Resort, Mata Chica Resort, et Rojo Beach Bar tous dans les dix minutes de la maison. Rates shown are per night for up to 8 guests. Each additional guest up to 14 is $35US per person per night.